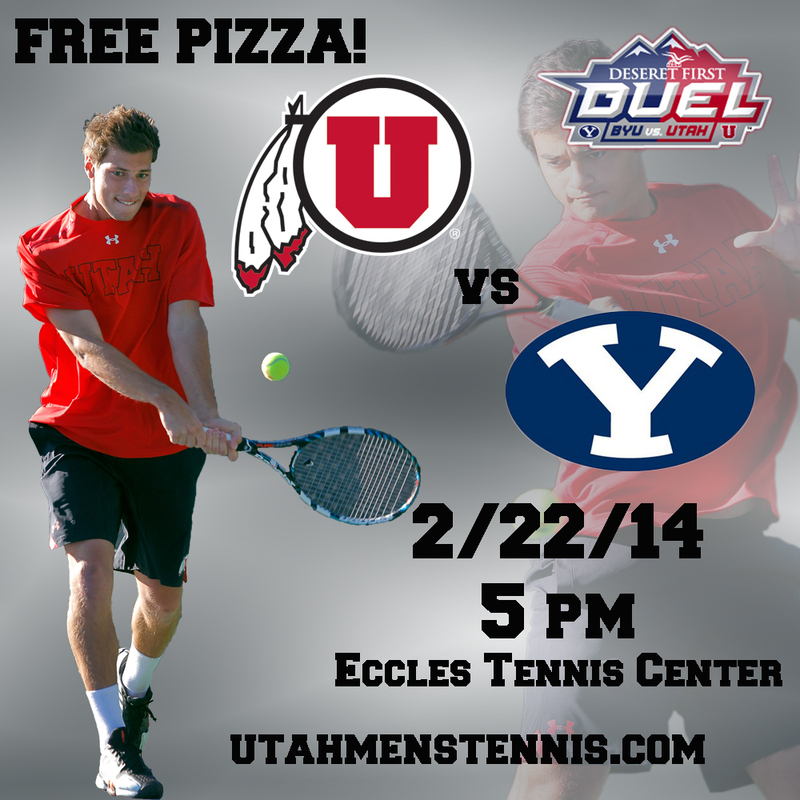 The University of Utah men’s tennis team (8-2) will host rival No. 70 BYU (5-6) in the Deseret First Credit Duel Saturday, February 22 at 5 p.m. MT. FREE PIZZA will be served to fans during the break between doubles and singles play, and free t-shirts will be tossed to fans. The Cougars are coming off a 6-1 loss to No. 53 San Diego State. BYU’s No. 91 Francis Sargeant is currently 9-1 in singles action at the top spot while on a five-match winning streak. The Utes sit at 8-2 after defeating DePaul and losing to No. 52 Denver on the road last weekend. Junior Slim Hamza remains ranked at No. 87 and went undefeated last weekend in Denver, stringing together a four-match winning streak and improving to an 8-1 record at the top singles slot. Senior Devin Lane has improved to an 8-1 dual-match record and is currently on a six-match winning streak, as is sophomore Matt Cowley. This entry was posted in Schedule/Results and tagged BYU, Deseret First Duel, Devin Lane, Free Pizza, Matt Cowley, Slim Hamza, Utah Utes. Bookmark the permalink.